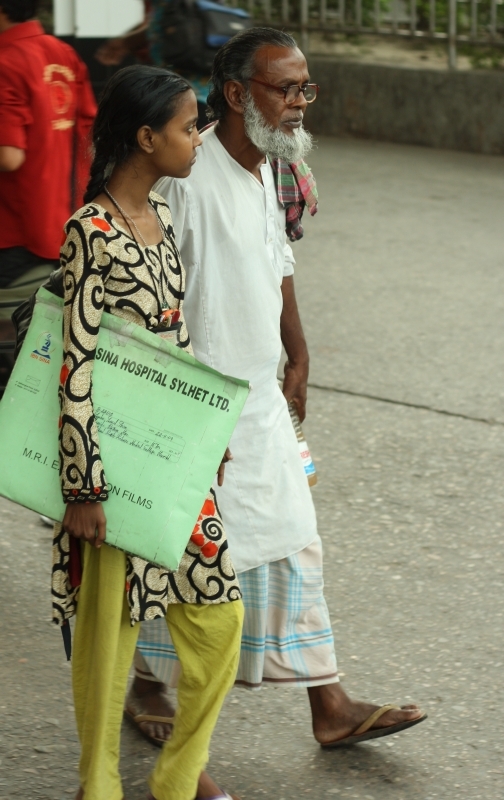 GENTLEMAN WHO JUST ARRIVED IN Dhaka, Bangladesh by train. 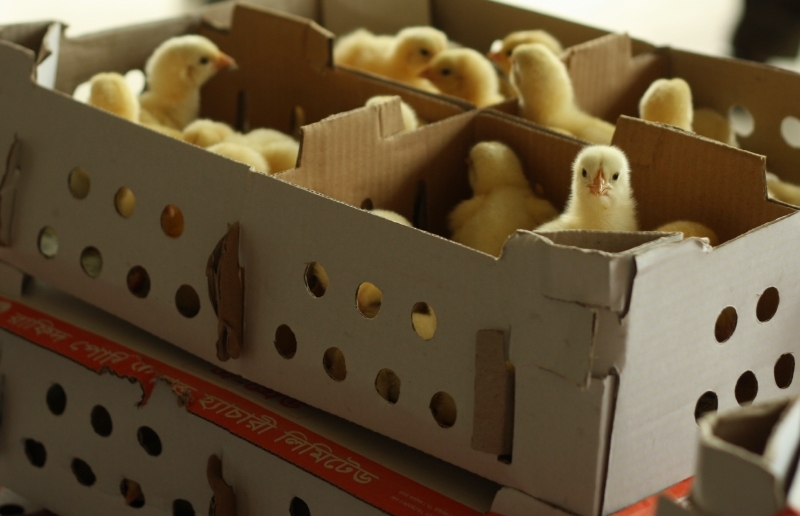 CHICKS AT THE KAMLAPUR RAIL STATION IN Dhaka, Bangladesh. BOY AT THE KAMLAPUR RAIL STATION in Dhaka, Bangladesh. We took the train to Sri Mongol and spent 5 days at the Tea Resort. It was a very relaxing and encouraging visit. PUPPET SHOW: LADY PRESENTING THE gentleman with a heart-shaped wreath of flowers. 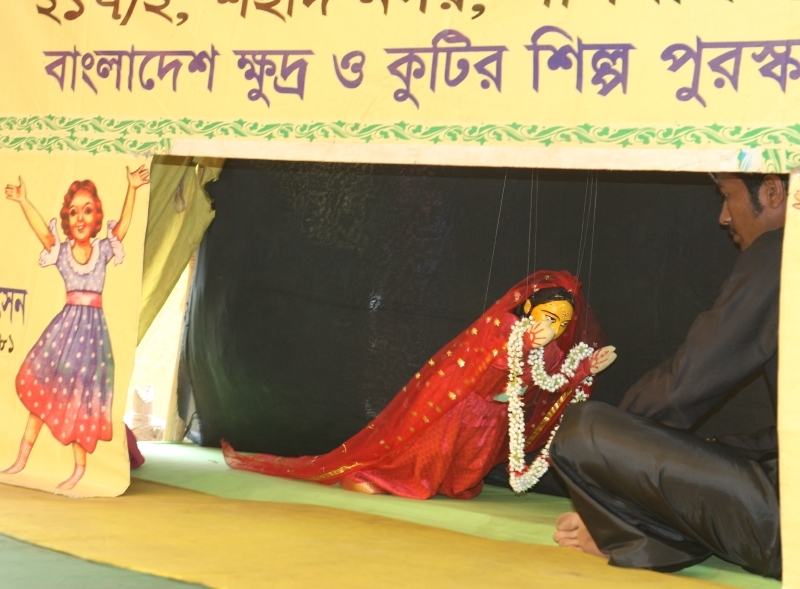 It was a well done puppet show, adding to the Pahela Baishakh holiday experiences. 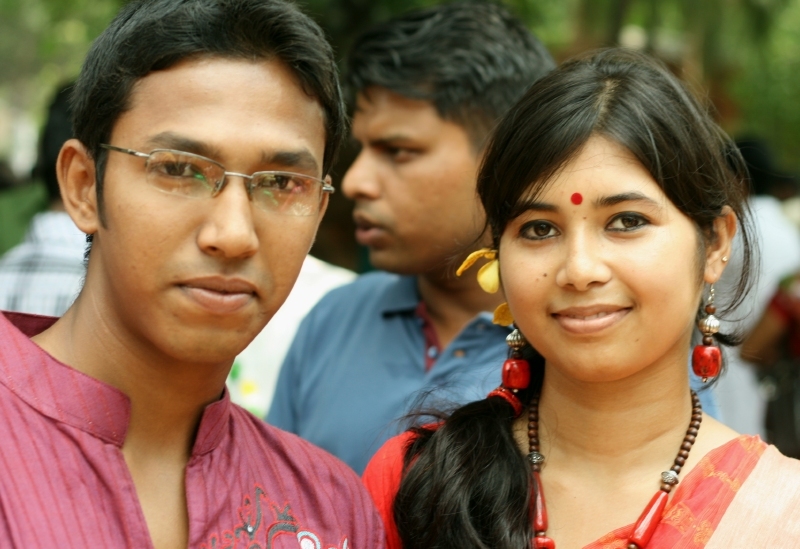 JETA MAJUMDER AND his friend, whom I met at Dhaka University on Pahela Baishakh. 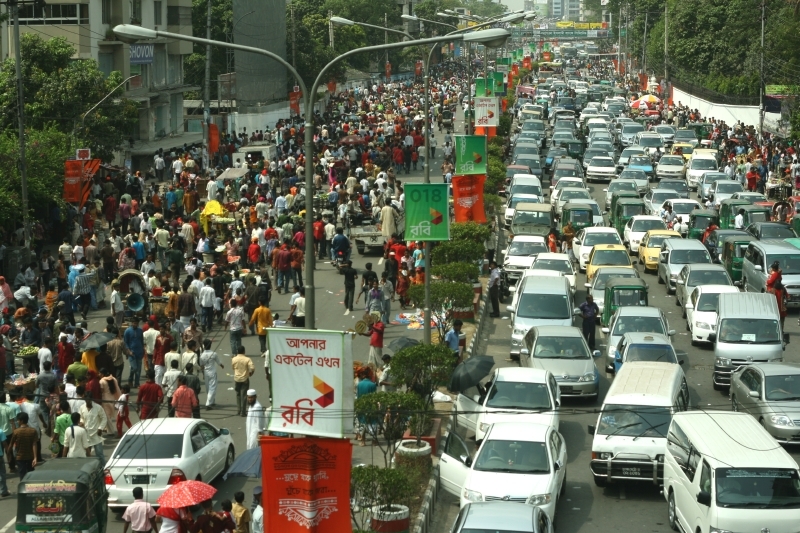 A MAIN ROAD TOOK ON THIS LOOK IN THE EARLY AFTERNOON OF the Pahela Baishakh celebrations. The people on the left side were either leaving Ramna Park or Dhaka University. Celebration had started at sunrise! 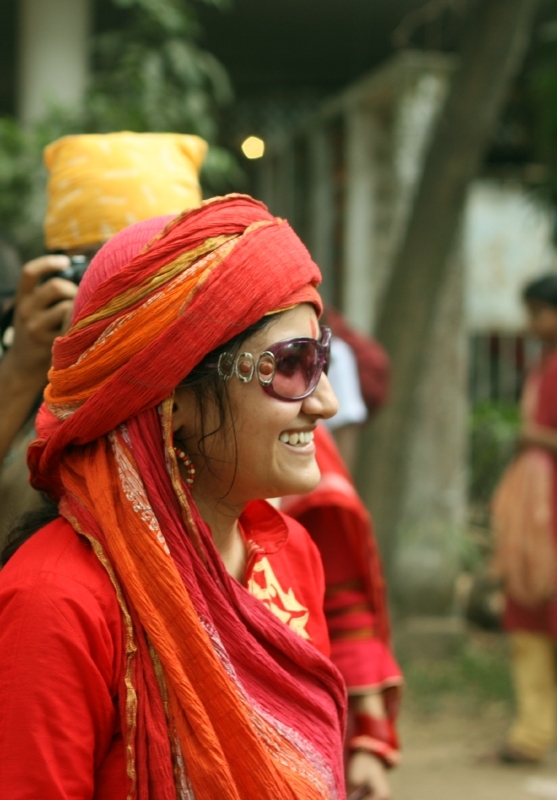 PAHELA BAISHAKH (Bengali New Year) brings out the colorful saris. 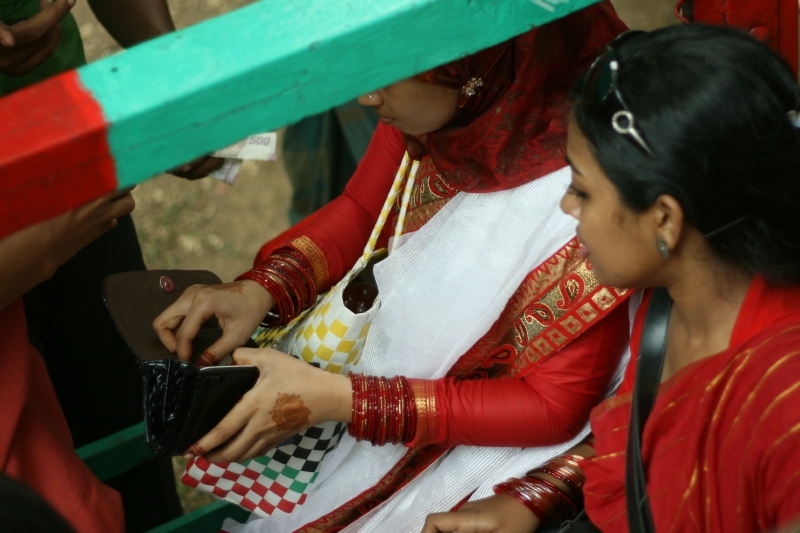 YOUNG LADY DRESSED IN RED celebrating Pahela Baishakh, at Dhaka University. I AM ENJOYING PAHELA BAISHAKH at Dhaka University with the TTL (Through the Lens) Bangladesh photo club members. 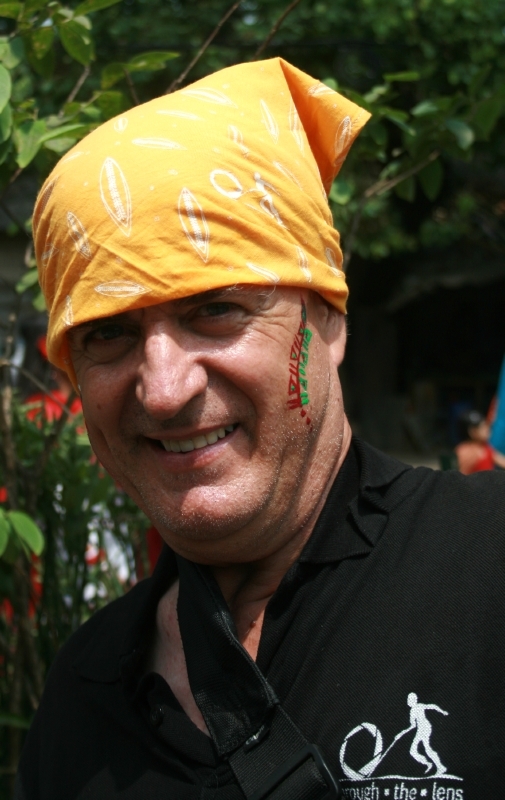 We all wore these bandanas. TWO YOUNG MEN relaxing during their celebration of Pahela Baishakh. EVEN SMALL MANUAL DRIVEN ferris wheels have fares. In Bangla it is a nagordola. 10 taka (15 Cents) will get you a short “wild” ride! 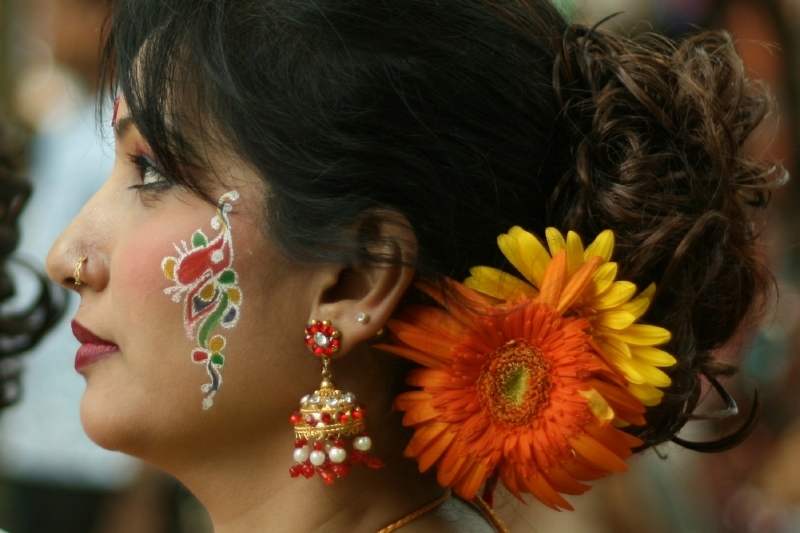 ARTIST’S WORK ON HER CHEEK, RED EARRINGS, AND FLOWERS IN HER HAIR, shows the lady’s New Year’s Day spirit. It was a very festive day.